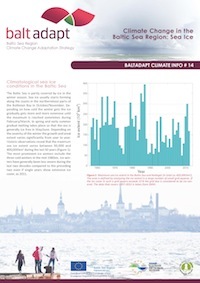 The Baltadapt Climate Info is a series of short bulletins on the impact of climate change in the Baltic Sea. The last issue in this series of 14 bulletins has now been released. It focuses on sea ice in the Baltic Sea. 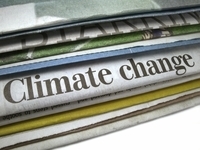 Climate change scenarios predict a decrease in the sea ice extent and shortening of the ice season with a future warmer climate. There are even indications that the most severe ice winters in a future climate may be less severe than the mildest winters we have had during the last hundred years as described in the bulletin.